Before I go into my new dip (that I know many of you were waiting for...), you need to check out my guest post over at Angie's Healthy Living Blog. Angie asked me to write a post for her awhile back, and I finally managed to get something together. It's features my Flourless Peanut Butter Chocolate Chip Cookies and my Roasted Garlic Asparagus. 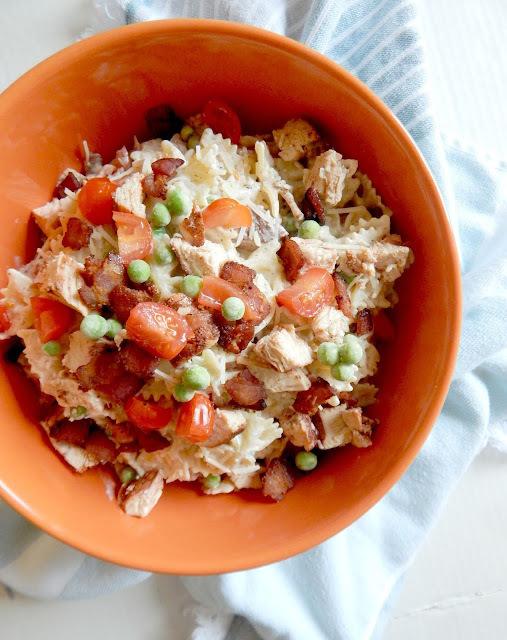 Have you tried these two recipes yet? 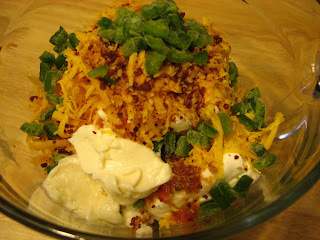 So, I told you the other night I had a dream about this jalapeno popper dip. I have no idea why. We've got crazy dreams going on in this house. The husband woke me up last night talking about using parachutes to get down from his tree stand. At least my dreams are silent...he talks during his, letting the whole house hear about his flying abilities. 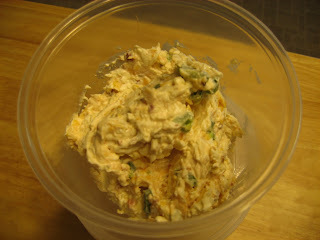 I'm testing this dip out at the market today - and of course will label it "HOT", as it is filled with jalapenos! Let cream cheese come to room temperature, then mix with all other ingredients. Put in fridge to chill for at least an hour. When ready to serve, place in greased baking dish and bake at 375 degrees for 25-30 minutes or until hot and bubbly. Serve with pita chips, toasted baguettes, crackers or veggies. Thank you for all the Chicago eatery suggestions yesterday, keep 'em coming! I am going to make a list of all the places you've recommended and do a little research on them. That way we can narrow down where we want to go! Definitely making this for this weekend! It looks amazing. What a tasty treat! I love jalapeno's! Yum! I've been looking forward to this recipe! Thanks! That sounds SO freakin' awesome!!! Thanks!!! The hotter the better for me!! Love this Ally! !